Leonard Oscar and Cleo Veda Bowman Smith. 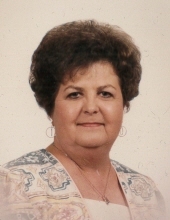 Shirley was a member of Woodlawn Baptist Church in Conover and had retired from Lexington Furniture. The funeral service will be held on Thursday, January 31, 2019 at 3:00 p.m. at the Burke Mortuary Chapel in Newton with Dr. Ed Yount officiating. Burial will follow at Conover City Cemetery. The family will receive friends on Thursday from 1:45 to 2:45 p.m. at the funeral home, prior to the service. Memorials may be made to: Woodlawn Baptist Church, 404 7th St Pl SW, Conover, NC 28613 or Carolina Caring, 3975 Robinson Rd, Newton, NC 28658. Burke Mortuary and Crematory in Newton is serving the Sherrill family. To send flowers or a remembrance gift to the family of Shirley Smith Sherrill, please visit our Tribute Store. "Email Address" would like to share the life celebration of Shirley Smith Sherrill. Click on the "link" to go to share a favorite memory or leave a condolence message for the family.